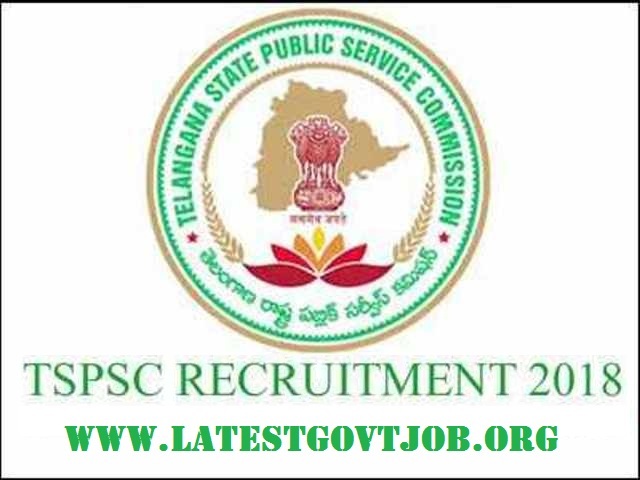 TSPSC Recruitment 2018 for Village Revenue Officer 700 Vacancies - tspsc.gov.in : Telangana State Public Service Commission (TSPSC) has released a notification for the recruitment of 700 Village Revenue Officers. Interested candidates may check the vacancy details and apply online from 08-06-2018 to 02-07-2018. Candidates should have passed 10+2 or equivalent from a recognised board. Selection of candidates will be made on the basis of the Written Examination. General/UR Candidates have to pay Rs. 200 as online Application Processing Fee and Rs. 80 as Examination Fee through Online SBI ePay. SC/ST/BC/Ex-servicemen and Unemployed applicants (Only Telengana State) don't have to pay any fee. Interested and eligible candidates may apply online through TSPSC website - https://tspsc.gov.in/ - from 08-06-2018 to 02-07-2018.